I’m wicked pleased to announce my 2016 Limited Edition wine kits, by Master Vintner. They’re the only Limited Edition kits with my name on them–if you know me, you know that’s a big deal. After more than two decades helping people make their own wine I’m only interested in the best. What’s the Deal with Limited Edition? Limited Edition is to home winemakers what vintages are to commercial wineries: once a year we assemble four different wines (two reds and two whites) and offer them for a short period of time. Winemakers have to pre-order, or they don’t get any. The kits are delivered over four months, January through April, staggered so they can get them all made in a decent amount of time as wines get racked and carboys get freed up. The pre-order is crucial. These wines are from cool, exciting vineyards that make excellent grapes. One of the things about making excellent grapes is that it drives yields down, so there is always a limited amount of them available. We cut off the pre-orders when they reach the point where we can’t make any more kits, and those ones go to the people who got in first. All of the wines from this year come from France, with three Bordeaux grapes and one from Burgundy. While France is the world-champion maker of fine wine (other countries make more wine, but it’s not classified as ‘fine’) it’s very hard to get grapes from there. First off, they can turn them into fine wine and sell them for a handsome profit. Second, explaining to a French grape grower that you want their grapes to make into juice for home winemakers . . . let’s just say that it can be a surreal conversation. Third, since the French are used to using all of their grapes to make fine wine, facilities to process the grapes are hard to come by. It requires the resources and expertise of a full winery operation to turn top quality grapes into top-quality wine juice. Fortunately, Master Vintner has those, and put them to good use, getting grapes at peak physical and organoleptic (flavor) ripeness and turning them into perfect juice in only hours. Luckily, that’s what have brokers and logistics people for–doing the impossible. We manged to come away with Cabernet Sauvignon, Merlot, Sauvignon Blanc, and Chardonnay grapes, and we’re turning them into spectacular wine kits, right this minute. The best way to teach people about wine is to hand them a glass and let them taste it. Even better is to give a bit of background first, and to hand them a glass and a food to pair with the wine. 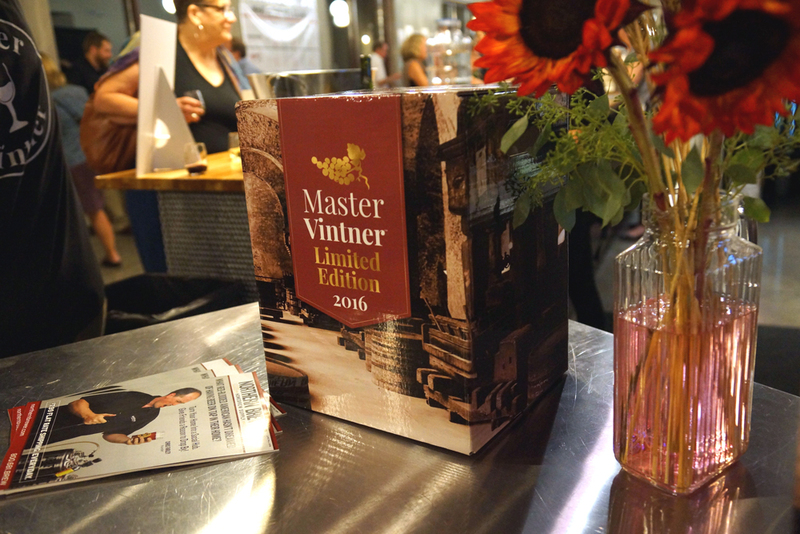 So that’s what we did: this September at Northern Brewer World Headquarters, Master Vintner held a wine tasting and food pairing, featuring versions of the grapes we’re using for the Limited Edition kits, and it was awesome. I’ve been doing wine tastings for nearly thirty years now, and it’s always a thrill to share great wine with people who appreciate it. Getting to present wines as good as these to people who make their own wine is a special treat: home winemakers are so engaged, so committed to enjoying the experience and the wine, that it’s not like work at all to do a tasting like this–it’s a lot more like a really great party with friends. A party where you show a PowerPoint! I had a blast talking to my winemaking friends, answering questions and trying out the food pairings (Sauvignon Blanc paired first with goat cheese and second with honey will change the way you think about how food and wine work together) and enjoying a truly fun evening. 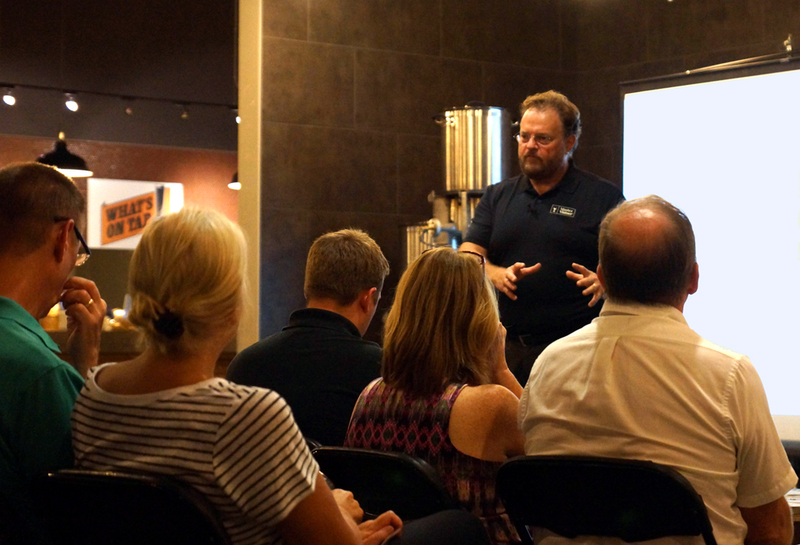 If you wish you could have been there for the tasting, you’re in luck: while we can’t deliver any wine for you to try, we recorded the presentation so you can see what it’s all about. I’ll be talking more about the Limited Edition wines in upcoming blogs, but if you want to make these wines for yourself, make sure you get in early: when they’re gone, they won’t be back, and there aren’t any extras. And if you have any questions, pop in a comment below and I’ll be happy to answer them all. 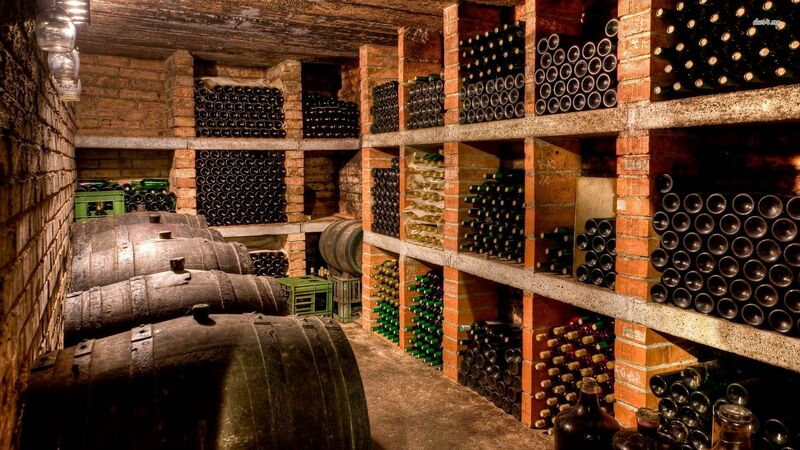 One of the things that’s rarely discussed when the subject of cellaring comes up is the cellar itself. 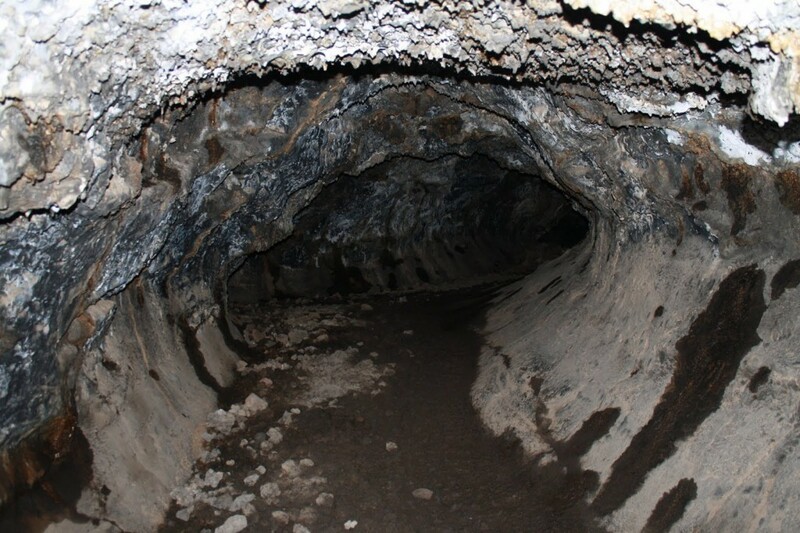 As the name implies, people used to put their wine in a hole in the ground, under their dwelling or winery. As long as human beings have striven to preserve food they’ve known that cool, steady temperatures, combined with moderate humidity would keep fruits, vegetables and meat from spoiling as quickly as it would in other conditions. Wine kept in these conditions not only lasts longer but also improves with time. Cool temperatures, usually in the 10-12C range (52-55F). Wine held here ages in a very slow and controlled manner. For every ten degree increase in the temperature, the speed of the chemical and biochemical reactions that govern ageing doubles, and some get out of control, causing the wine to die of old age while still young in years. Steady temperatures. Variations of less than one degree per day, or five degrees between winter and summer are best. Every time a bottle of wine warms and cools, the wine inside it expands and contracts, alternately pushing and pulling on the cork. Some wine could leak out, or penetrate the cork, and air can enter the bottle. Obviously, neither of these is desirable. Darkness—if not complete blackness then at least the absence of direct sources of UV radiation. 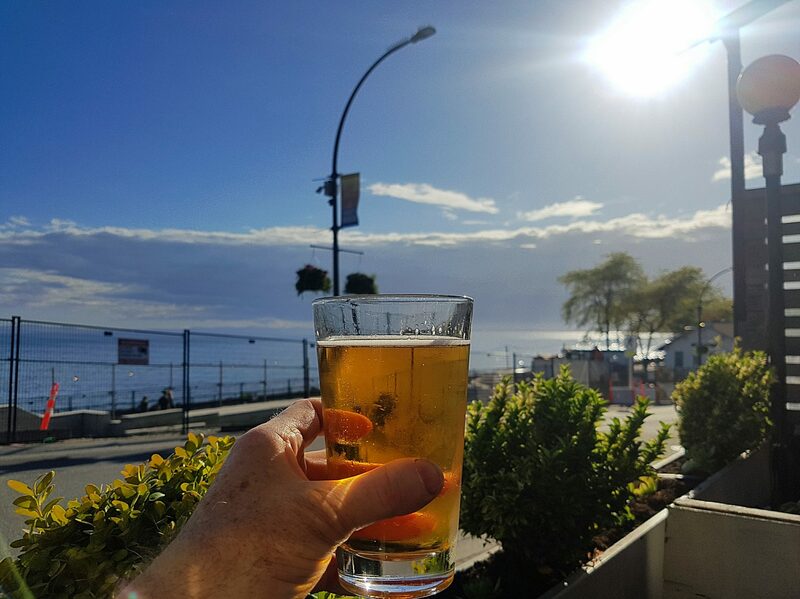 While wine doesn’t go skunky in minutes like beer does in direct sunlight, it does age quicker and suffers from ‘photodegradation’. Humidity—steady, around 70%. Any drier and corks can dry out. Once the end of a cork becomes dry, it wicks wine along just like the edge of a paper towel dipped in liquid. Eventually the wine level in the bottle drops, or the cork dries out completely and crumbles. Too much humidity and your corks will get mould, and your labels will disintegrate. No vibration. Wine is a living thing, so constant jostling, thumping and vibrating unsettles it. Store a bottle of wine in an active paint-shaker and it will go bad in only a few minutes. Store it on top of the washing machine, and it won’t take many loads of delicates before it falls apart. A ‘clean’ environment. Wine is a food product, and just like not storing angel-food cake next to garlic, you don’t want your precious wine snuggled up to paint thinner, compost or any other food or non-food item that could transfer flavours or aromas. When asking how long wine will keep – that is, how long you can age it and still have it be drinkable – you’ll find that the answers can become quite complex. Most ageing recommendations tend to be very general, because there are so many variables to consider, including the type of wine, the storage conditions, and the quality of the cork (I’ll talk a lot about corks in an upcoming blog). What is inside a bottle of wine often has less to do with how well it may age than the external conditions that it will be stored in. Under ideal conditions even inexpensive wines will age for years under a good cork. But those ‘ideal’ storage conditions include the absence of electromagnetic radiation (both visible and UV light), very high relative humidity, a temperature of 11C/52F, not varying by more than 1/10th of a degree over the course of one year, and an absence of any sort of vibration. Any divergence from these conditions could reduce a wine’s ageing potential. And over here is the guest bedroom . . . Cool, stable, quiet, humid, dark and clean—sounds pretty simple. But most of us aren’t going to be comfortable digging a big hole under the house, and if our home had all those attributes, it’s a pretty sure thing that we’re living in a cave or under a bridge with trolls. You could buy a fancy climate-controlled wine cabinet, but those can be expensive, especially if you’re making your own wine and building up a good collection. Alternatively, you can make do with what you’ve got on hand, and extend the life and cellaring potential of all of your wine. Easiest is to start by storing your wine in the coolest part of your home, away from direct light sources, off-odours or vibrations. Time to fill this place up! 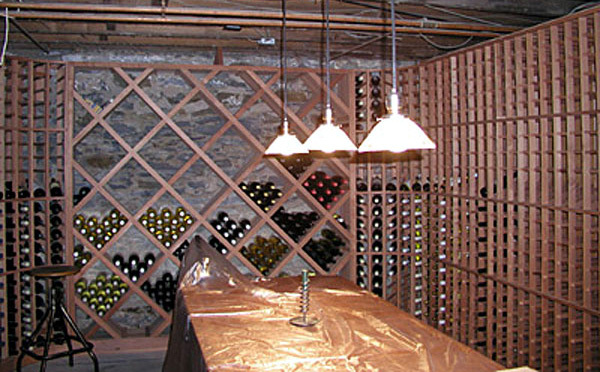 You can minimize the impact of temperature changes by keeping the wine up against a north-facing wall. Sunlight striking a foundation or the earth around it can cause a temperature flux, so steer clear of south-facing walls. You might also want to build an enclosure around your wine rack if it’s out in the open: this can help diminish convection currents, and increase thermal inertia. The enclosure doesn’t have to be anything fancy; you can create it from things as simple as Tyvek (the foam-board house insulating material), duct-tape and corner brackets. In colder, drier climates like the north and the midwest, humidity can drop quite low, especially in winter. Too low and your corks will dry out, allowing oxidation and, potentially, leakage. Humidifiers sold for home use are not a good answer; they work too well, and can cause a build-up of mold and mildew in places like the basement, where air circulation is low. It makes more sense to set up a passive humidifier. Essentially this is a pan of water, a clean dishcloth and a cinderblock. Set the pan of water on top of the cinderblock in your wine cellar, drape the dishcloth half-in and half-out of the pan, and tuck the bottom end on top of the block. This will allow the towel to wick the moisture out of the pan and increase the evaporation into the air. The cinder block will hold any excess moisture and release it slowly, helping keep the humidity steady, even in a cellaring area a large as a thousand cubic feet. 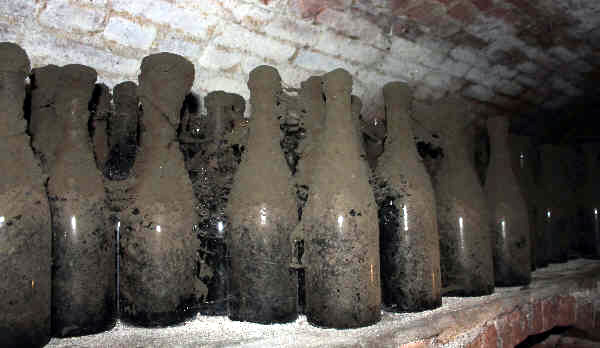 Some wines are more susceptible than others to poor storage conditions. In general, white wines–particularly off-dry wines and Champagne – are frailer than reds. Grape variety can also make a difference to how well the wine does in storage; so you would find that a robust variety like Cabernet Sauvignon is generally more resilient than delicate one like Pinot Noir. Looks fine, but it could probably use a bit of ageing. With a newly bottled wine, it’s tempting to start consuming it right after bottling. While there are many wines that can be consumed young and be everything you want them to be, if you really would prefer to maximize your wine’s potential, a little time in the bottle can make an enormous difference. 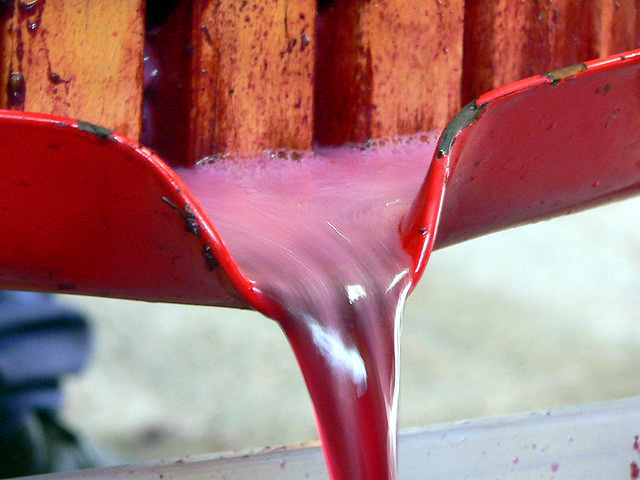 Most red wines begin life with obvious fruity aromas and some degree of astringency or bite, but with ongoing ageing, they develop softer, gentler, more complex aromas and flavours. The wines become richer as the fruit mellows and as the astringent tannins relax and contribute to the body and character. Maybe not this long . . .
Cellaring wine used to be a rich man’s game. In centuries past, only wine merchants storing stock for future sale, or the very wealthy could afford to purchase age-worthy wines in large volumes, and then wait as the years passed to sample them as they approached their peak. The French used to say that you didn’t buy Bordeaux for yourself, you bought it for your children, while you drank the wine your father had bought. Things are a little easier with modern wines. Most of them are designed to be more drinkable sooner and even a moderate amount of cellaring will help bring out their best.